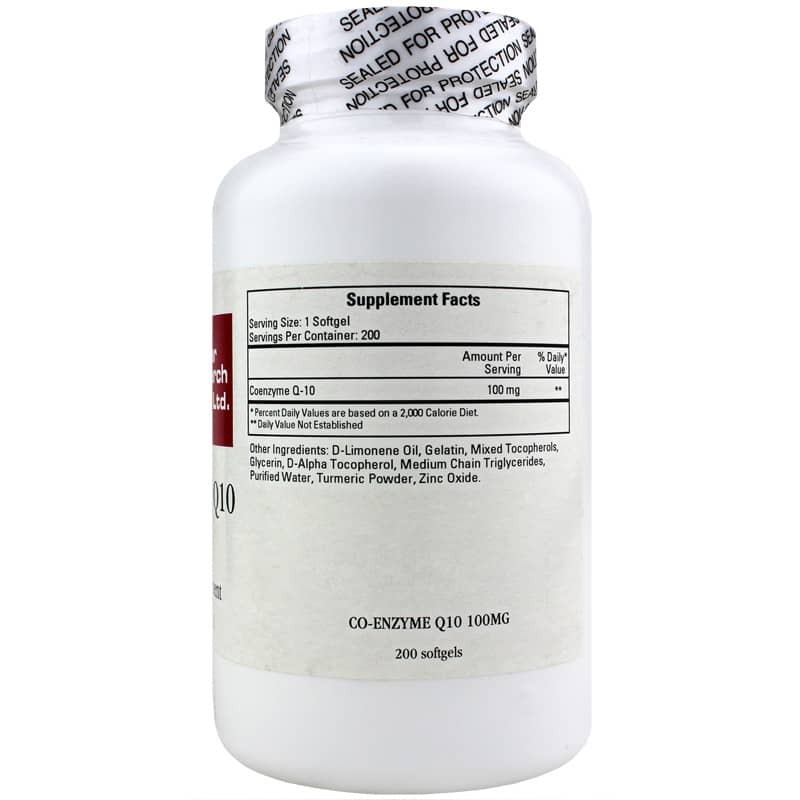 Co-Enzyme Q10 from Cardiovascular Research is a dietary supplement scientifically formulated to promote cardiovascular function, support the immune system and more. The body makes CoQ10 for cellular energy production and other bodily processes. Exposure to stress, environmental toxins, the use of certain medications and the natural aging process may affect the body's ability to produce CoQ10. That is why it may be important to supplement your diet with this crucial antioxidant. 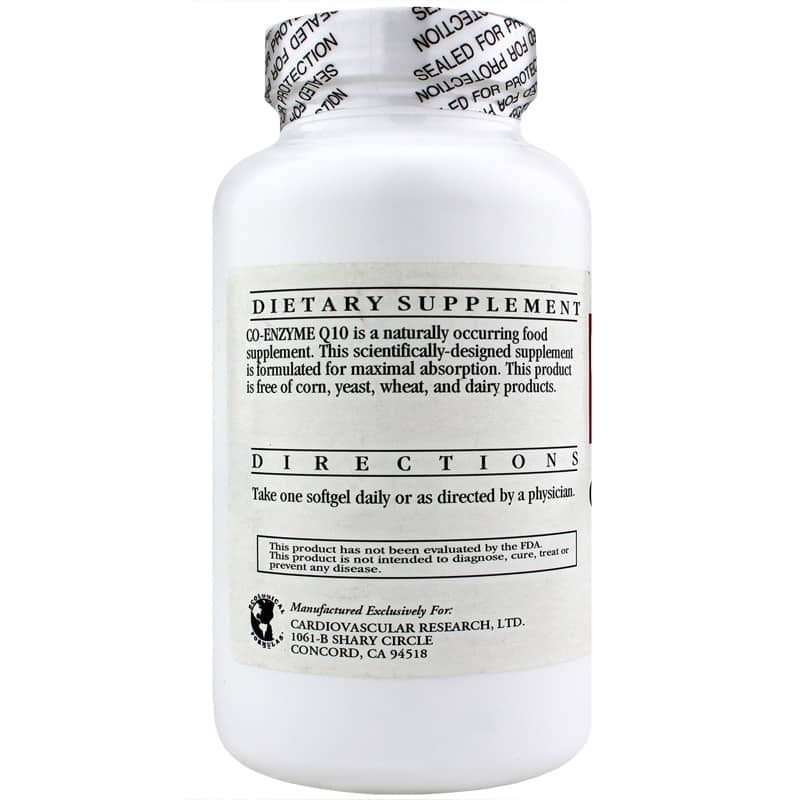 This supplement also helps promote exercise recovery and support blood pressure levels already in the normal range. 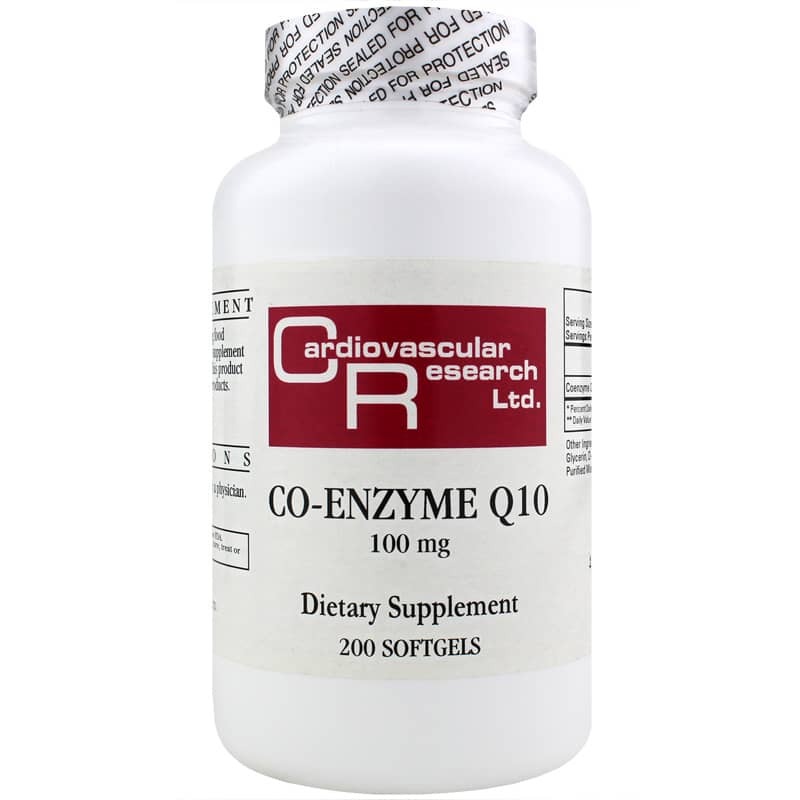 If you need support for cardiovascular function and a healthy immune response, try Co-Enzyme Q10 from Cardiovascular Research. It may make a difference to your health. Other Ingredients: D-Limonene oil, Gelatin, Mixed Tocopherols, Glycerin, Medium Chain Triglycerides, Purified Water, Turmeric Powder, Zinc Oxide. Contains NO: corn, yeast, wheat and dairy products. Adults: Take 1 softgel daily or as directed by a physician.